2 1/4" H x 1 1/2" W x 1 3/4" D - 4ozs. 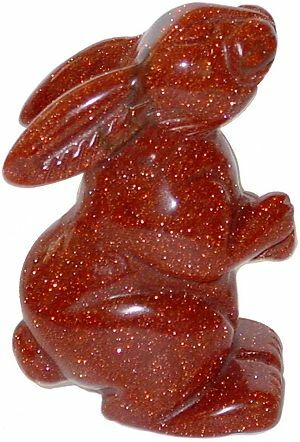 Large rabbit carving in beautiful Red Goldstone. Stunning deep Red Goldstone dazzles the eye, as the light bounces off thousands of golden sparkles hidden within.